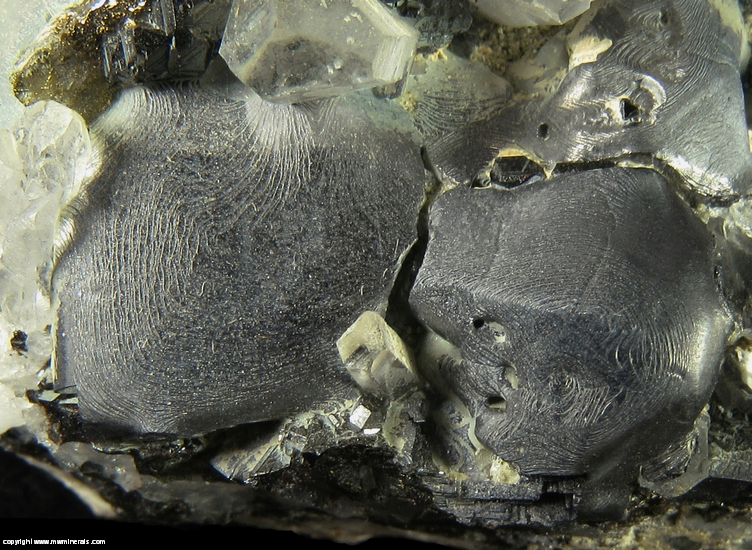 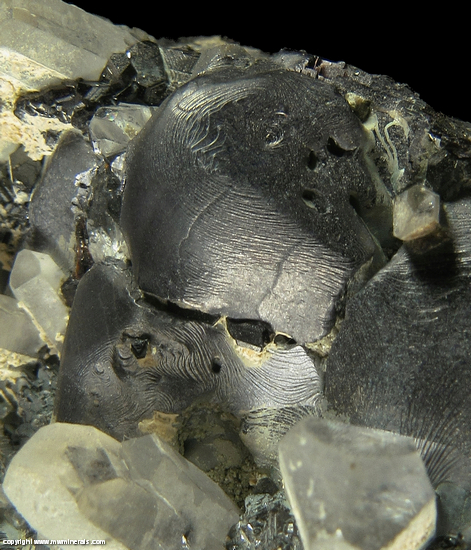 The Galena crystals on this specimen have an unusual rounded melted appearance with unusual growth lines which resemble a topographical map. 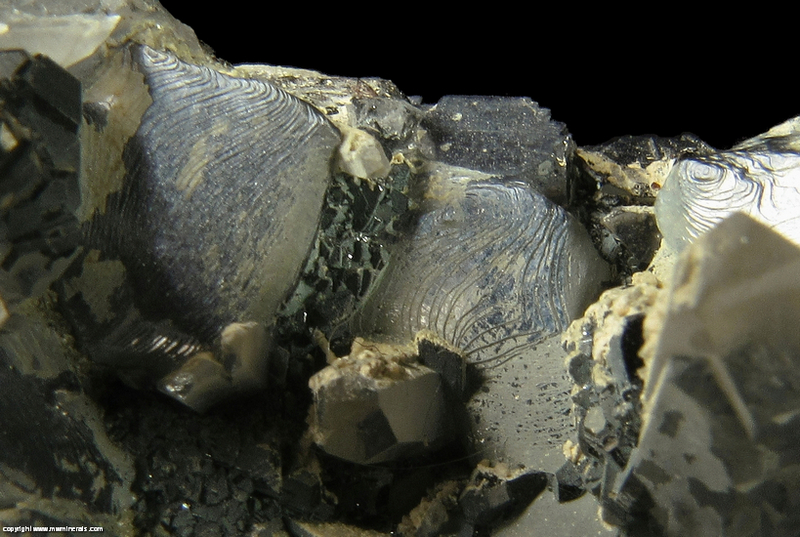 The growth lines are accentuated in places with a thin coating of light gray/green colored Chlorite. 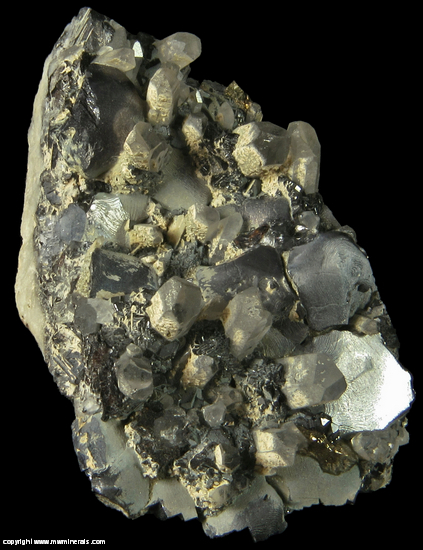 The Galena otherwise has a metallic luster. 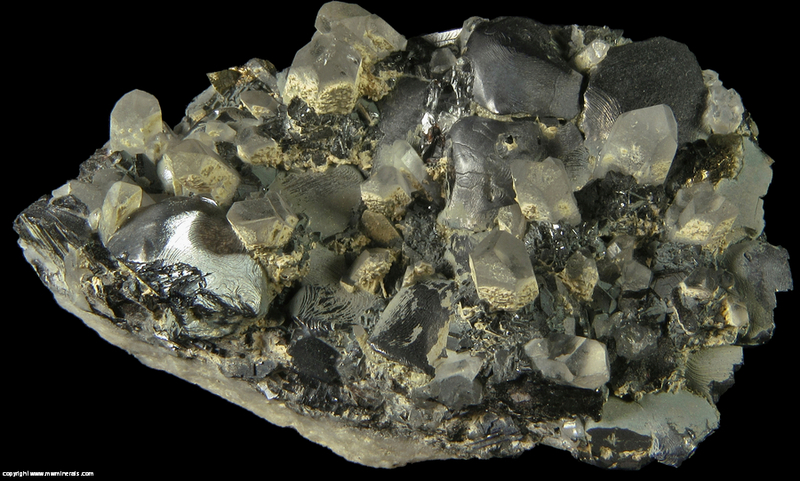 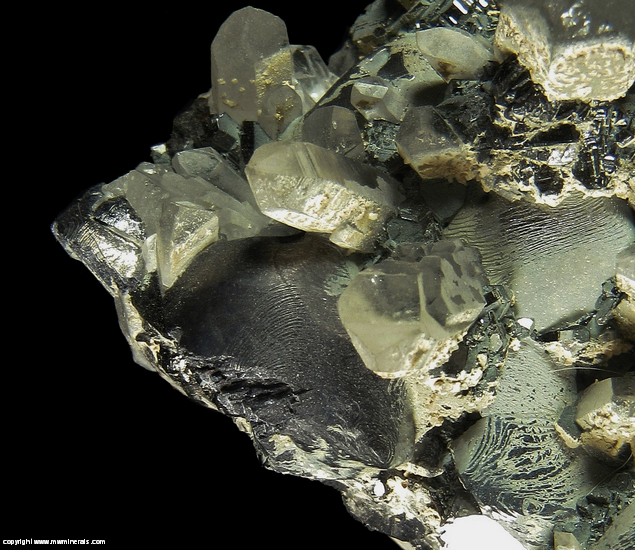 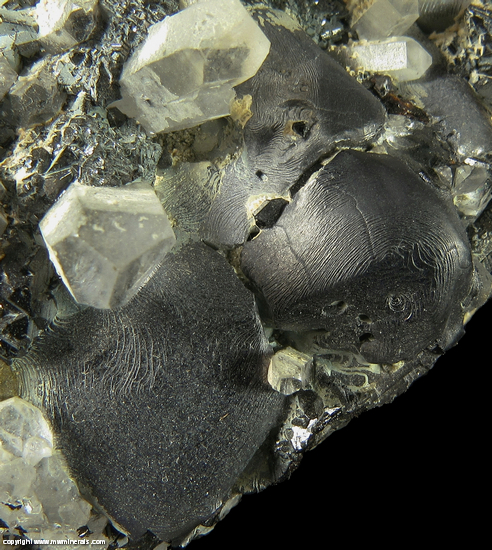 There are a number of well formed Quartz crystals scattered among the Galena crystals. 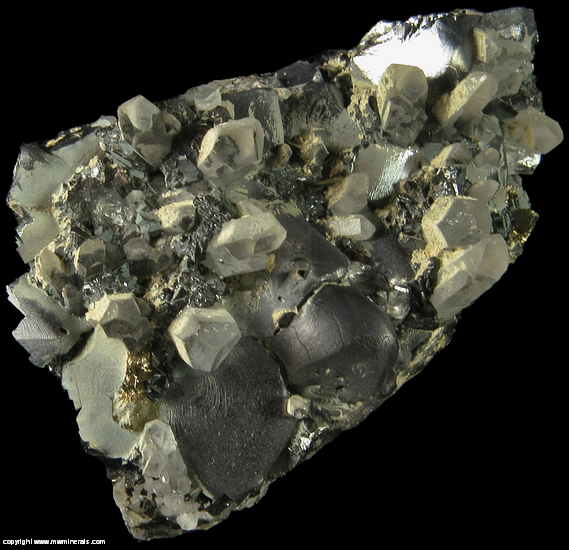 The Quartz crystals are clear and transparent but on one side of all the crystals, there is an encrustation of likely Calcite. 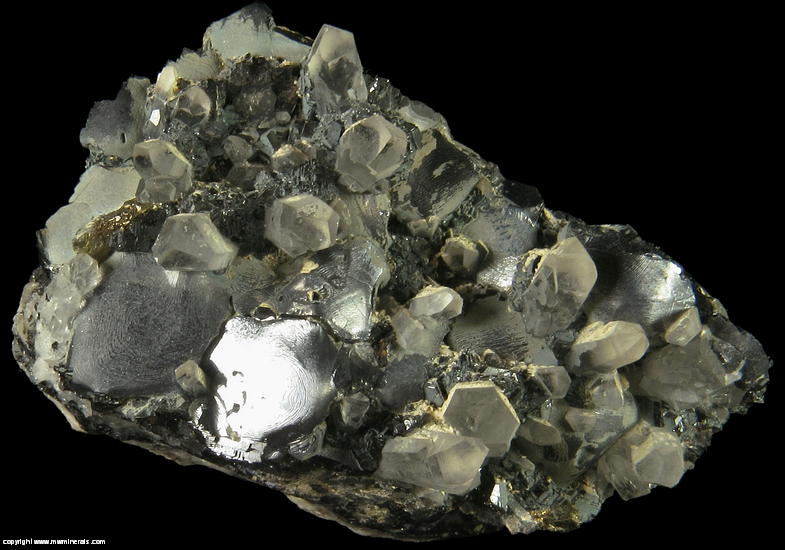 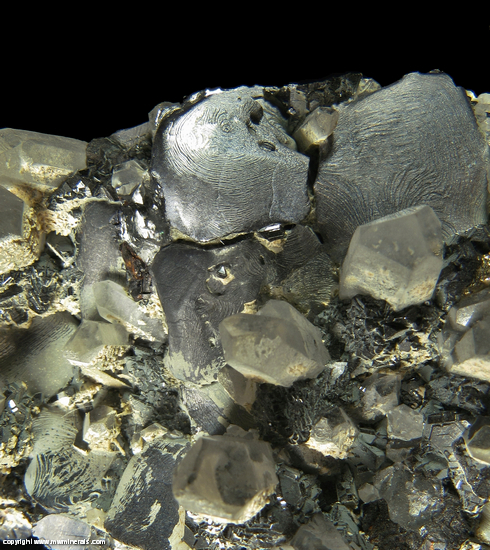 Within some of the Quartz crystals, at their base, are small, included Galena crystals.